CELES induction heaters are a versatile, compact and economical solution. 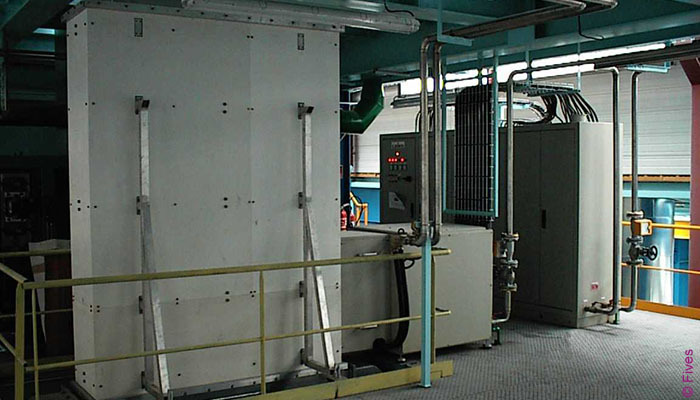 Induction heating saves on energy consumption, which in turn reduces costs and pollutants, while still providing effective, uniform heating for preheating, annealing, curing or coating in the strip process lines. This uniformity ensures the high quality of the finished product – and, because the process is easily repeatable, that quality is assured across the whole of the strip. Another big advantage of induction heating technology is the fact that it increases the thermal capacity of the line, which means the strip can be processed more quickly and throughput is increased. The inductor design is engineered for the highest quality and for optimum safety. It is compliant with EN-12198 Electromagnetic Shielding for Worker EM Flux Daily Exposure. The CELES induction heater is incredibly flexible and can adapt to changes in steel grade and temperatures. The ability to make strip changes on the fly, without having to stop and restart the equipment, increases overall line productivity. In addition, the sturdy design and extended component lifetime, as well as the modular layout, means that maintenance requirements are limited – and what little there is to do can be easily achieved. Installation is also easy, thanks to the compact envelope design. CELES induction heaters can be used in new and existing installations to improve performance and increase furnace productivity.